Lessons of the knightly virtues of chivalry like bravery, honor, honesty, faith, charity and humility never go out of style, and they retain their attraction for every generation - especially when they are imparted with the idealistic romance of an earlier Age. The legendary order of the Knights Templar is unquestionably one of the very strongest and most enduring images of faith, honor and courage. 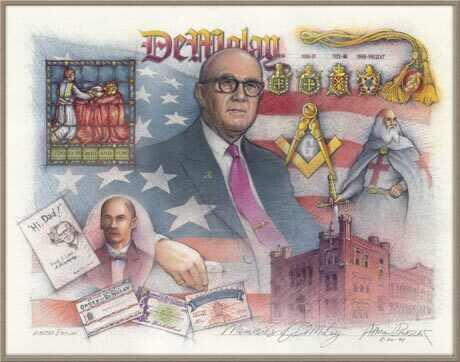 March 24, 2019 marks the 100th anniversary of the official launch day in 1919 of DeMolay International (formerly the Order of DeMolay) by Freemason Frank S. Land in Kansas City, Missouri. 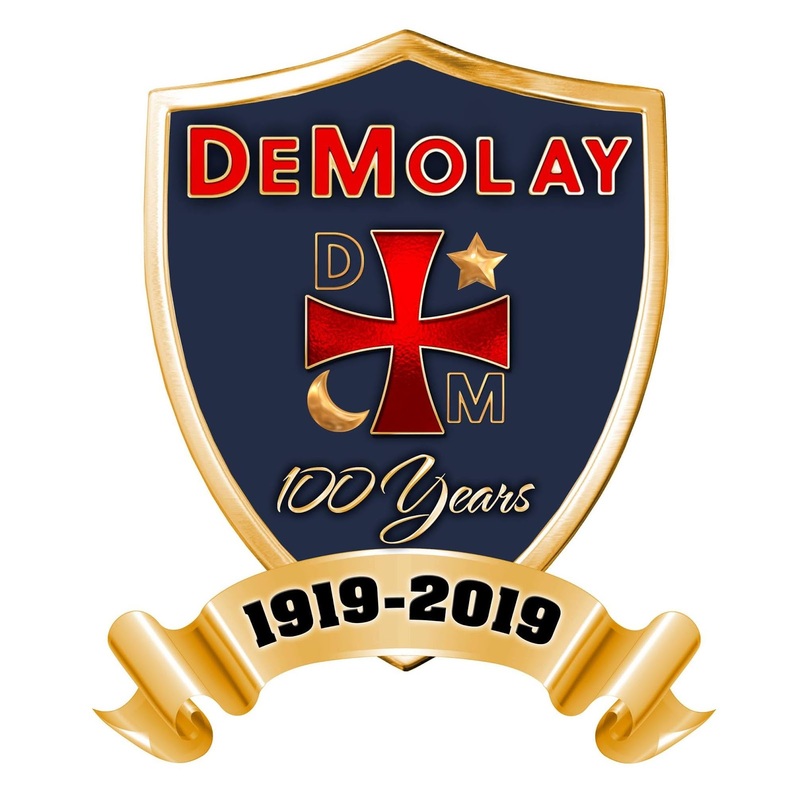 Named after Jacques de Molay, the famed last Grand Master of the Knights Templar, DeMolay International is a chivalric youth group associated with Freemasonry, specifically for young men between 12 and 21. Based on the seven cardinal virtues of filial love, reverence, courtesy, comradeship, fidelity, cleanness and patriotism, DeMolay International has in its first century encouraged more than a million young men to become leaders of character, including many successful businessmen, public servants, entertainers and athletes. A century ago, Frank Land was very concerned about boys who had lost their fathers during World War I. In 1919, 17-year-old Louis Lower and eight other boys gathered together in Kansas City, Missouri, to create an after-school club. Lower had recently lost his father, and Frank Land liked the boy and wanted to help. He suggested the boys meet in the local Scottish Rite temple building. The boys were looking for inspiration for a name and structure for the club, and Frank Land was a member of the heroically named Ivanhoe Lodge 446 in Kansas City. He was also an officer in the local Knights Templar commandery, and told the boys the story of Jacques de Molay, last Grand Master of the original Knights Templar who had been imprisoned, falsely accused of heresy, tortured, and finally burned alive in 1314. 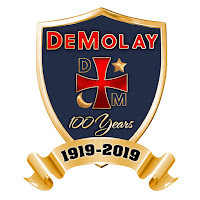 The nine boys were enthused by the story of de Molay’s bravery and sacrifice, and they decided to name the club DeMolay. By the second meeting, there were 31 boys. “Dad” Land, as he came to be known, contacted a Masonic brother named Frank Marshall and asked him to write an initiation ritual for them. The Order of DeMolay spread like wildfire across the country. Marshall was careful not to make his degrees too close to those of Freemasonry, lest he be accused of trying to create Freemasonry for kids. DeMolay confers initiation and knighthood on boys, followed by awards of merit, such as Legion of Honor, Chevalier, Blue Honor awards, and Merit Medals. Its members hold office and conduct the ritual and business of the chapter, teaching boys leadership skills, financial responsibility, civic awareness, and public speaking. Like Masonry, it requires belief in a Supreme Being, but not in any specific religion. Today, membership is open to boys between the ages of 12 and 21. A recent addition to DeMolay allows boys as young as 10 years old to become a Squire of the Round Table and attend DeMolay meetings and functions. It eliminates the pressure of learning ritual and softens the big age differences that can often intimidate a young boy in a group of older ones. A regular DeMolay member, who acts as the Squire Manor’s “big brother,” mentors the younger boys. As in the regular DeMolay meetings, an adult advisor (known as a Dad or a Mom) is always present. Today, DeMolay has 15,000 active members in the United States and Canada. There are active chapters in Australia, Argentina, Aruba, Philippines, Paraguay, Bolivia, Ecuador, Brazil, Italy, Peru, Romania, France, Albania, Japan, Montenegro, and Serbia.